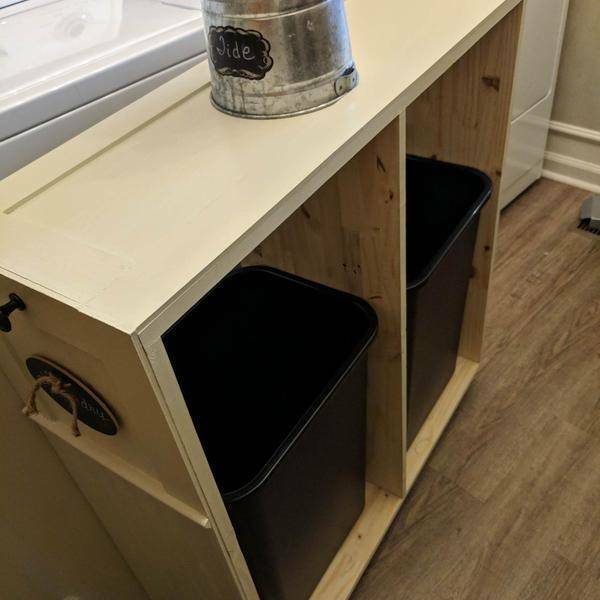 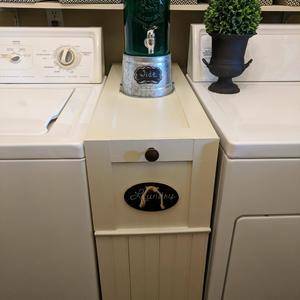 This custom laundry cart is easy to build and serves many useful functions. 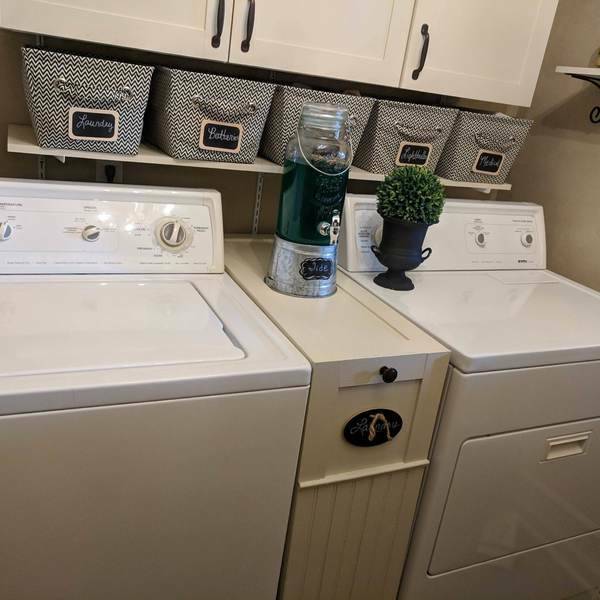 It hides laundry that needs washed and is even in height with the top of the washer and dryer. 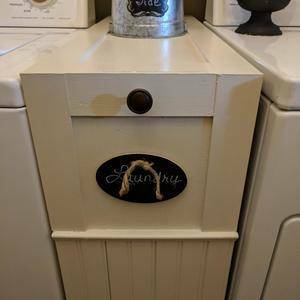 This provides support for items that are stored across the appliances. 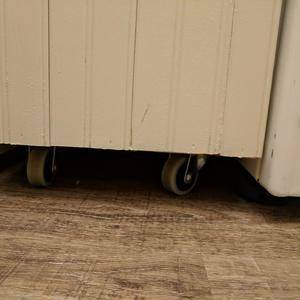 In addition, it has casters which makes it easy to move in and out for adding / removing laundry. Wow, this is really cool! 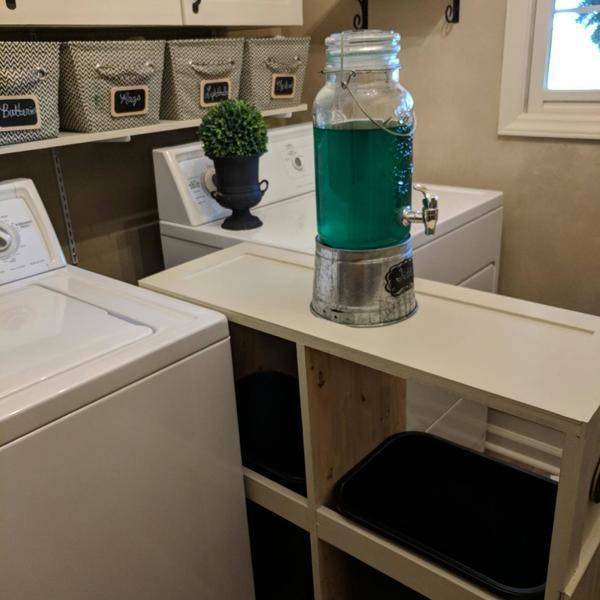 What a great use of space. Thank you for sharing!